It was with great sadness we learned of the passing of Darin Website friend and contributor Dana Munsey, from Cystic Fibrosis. Our sincere condolences to his mother, Joyce, sister Michelle, brothers John, Scott and Mark and his daughter Ashley, other family members and dear friends. May you all take comfort in the courageous, creative and generous spirit that was Dana. Bobby's fans were introduced to Dana when Susan Schooley designed the "Snapping Fingers Charm" and went to Dana for help to make it available to Darin fans. Other designs were soon to follow to celebrate Bobby's various anniversaries, giving fans other pieces as "Mack the Knife Record" and "As Long As I'm Singin.'" The "Mack the Knife Gold Record" - 50th Anniversary Pendant, was a personal favorite of his, saying at its completion, "This piece is special to me, as it is the year I was born." He very much enjoyed working on the Darin charms. His work is loved and appreciated by Darin fans all over the world. And in return he also loved Bobby's fans often saying, "Bobby Darin fans are the best." Fans will be happy to know that, per Dana's instructions, Rotunda Jewelers will remain open and the Darin Jewelry will continue to be made available. As co-founder of Sunny Shores Sea Camp, for Cystic Fribosis patients, Dana was a much beloved friend. 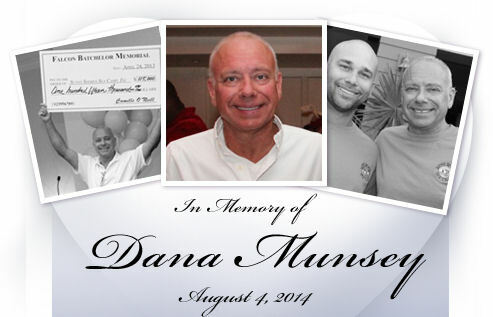 If you would like to honor Dana you can make a donation here. Dana, you are the best! Thank you to Susan Schooley for sharing this information. the Bobby Darin Jewelry, and for working with Dana to bring it to Bobby's fans.